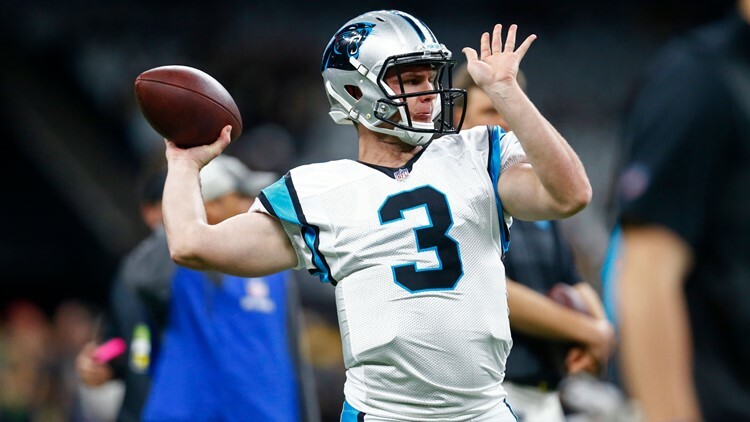 According to multiple reports, the Cleveland Browns will sign quarterback Garrett Gilbert, who most recently played for the Orlando Apollos in the AAF. After Tyrod Taylor departed to sign with the Los Angeles Chargers, the Cleveland Browns have insisted they feel comfortable with Drew Stanton as the primary backup quarterback to Baker Mayfield. Nevertheless, that hasn't stopped the Browns from seeking insurance at their most important position. And on Friday, it appears they added just that, with multiple reports stating the team will sign quarterback Garrett Gilbert, who most recently played for the Orlando Apollos in the now-suspended Alliance of American Football. A 5-star prospect coming out of Lake Travis High School -- the same school Mayfield would eventually attend -- Gilbert ranked as the No. 2 overall prospect in the 2009 class. Although he signed with Texas -- and even relieved an injured Colt McCoy in the 2010 BCS National Championship Game against Alabama -- he eventually transferred to SMU after appearing in just two games in the 2011 campaign. After completing 66.5 percent of his passes for 3,528 yards and 21 touchdowns in 2013, Gilbert was selected by the St. Louis Rams in the sixth round of the 2014 NFL Draft. After initially spending time on the Rams practice squad, he was eventually released and went on to spend time with the New England Patriots, Detroit Lions, Oakland Raider and Carolina Panthers, who he appeared in one game for in 2018, completing 2 of his 3 pass attempts for 40 yards. Most recently, Gilbert played in the AAF, where he served as one of the league's more prominent players. In eight games with the Apollos, he completed 60.6 percent of his passes for a league-high 2,152 yards and 13 touchdowns, leading Orlando to a league-best 7-1 record. Earlier this week, the AAF announced that it would be suspending its operations. On Thursday, the league revealed that its contracted players were now free to sign with teams in the NFL.